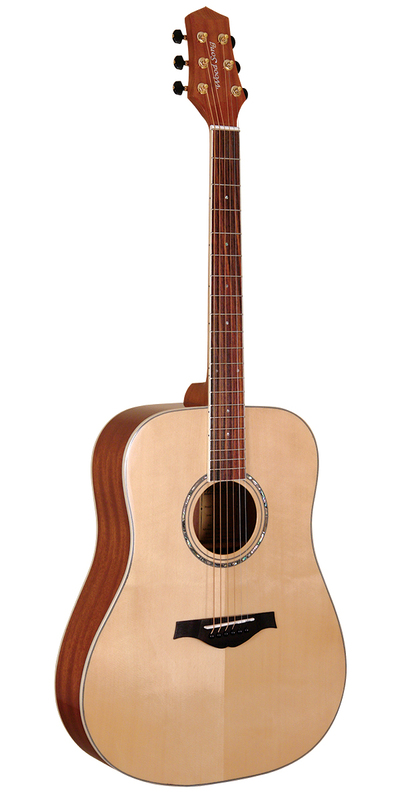 The Jumbo body is ideal for a twelve-string guitar. 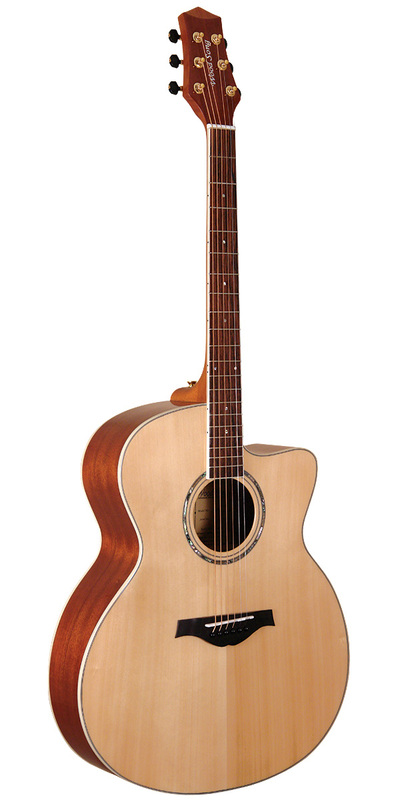 The proportions seem so right for the twelve-string's wider neck, and the strength provided by the JLD Bridge System (one of Wood Tone's three patented features) assures that this big fellow will give you years and years of faithful companionship. 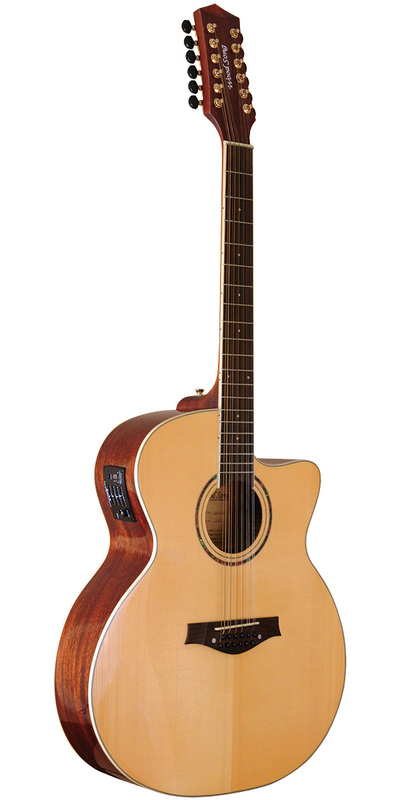 The Jumbo Cutaway Twelve-String has a mahogany back and sides and a strong mahogany neck. Its solid Sitka spruce top has a natural finish that contrasts nicely with the rosewood bridge and fretboard. The JC-12NA's onboard electronics include an under-saddle pickup and a preamp equipped with three bands of EQ, a presence control, a phase-reversal switch and volume control. A built-in electronic tuner and dual output jacks (XLR and 1/4" two-conductor) make the JC-12 stage-ready. Body Depth: 4" - 4-3/4"